About PAT: Praxis Admission Test (PAT) is conducted by Praxis Bussiness School for admission to its Management Courses, the candidates who are interested in pursuing these courses at the institute will be required to appear in PAT 2019. 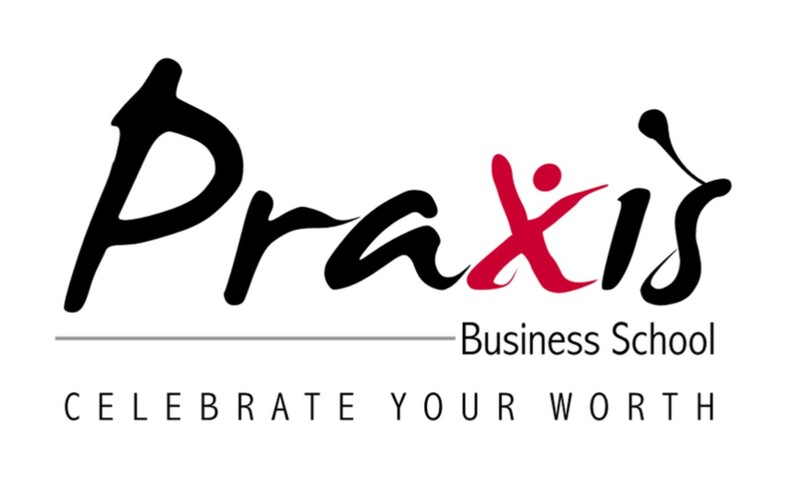 Conducting Authority: Praxis Bussiness School is the Conducting Authority and it has two Campus, The Kolkata campus of Praxis Business School offers 2-year Post Graduation Program in Business Management and 1-year Post Graduation Program in Business Analytics. The Bangalore campus of the B-School offers only 1-year PGP in Business Analytics. Level: PAT is National Level Entrance and Scholarship examination conducted by Praxis Bussiness School. Frequency: PAT is conducted Twice in a year. Exam Paper: The exam paper for PAT 2019 consists of General Aptitude test paper. Registration: PAT 2019 Registration was available on the official website from 1st January 2019 and the last date to register will be on 31st January 2019. Examination: PAT 2019 will be conducted on 11th February 2019 through Offline i.e. Pen and Paper-based Test (PBT). Results: PAT 2019 results will be announced on 13th February 2019 and the candidates can check the results in the official website. Interview Process: PAT 2019 interview process commences from 17th January 2019. Candidates should keep visiting the Official Website for the Latest Updates and news. Any Graduates or Post Graduates of any disciple can apply for the Entrance Examination. Final year graduation students can also apply, but their admission shall remain provisional till the submission of passing certificate or mark sheet for the final year. Students applying for the 2 year PGP in Business Management program can submit CMAT and MAT. Registration: PAT 2019 registration can be done Online through the Official Website from 1st January 2019 to 31st January 2019. Praxis Business School offers Post Graduate Diploma in Management and Post Graduate Program in Business Analytics. The PGP in Business Analytics is offered from Praxis campuses in Kolkata and Bangalore. Candidates may apply to either one or both the programs using the same application form. Selected candidates for the PGP in Business Analytics would be given the choice of selecting the campus ( Kolkata/ Bangalore) after the offer has been made. Registration Fee: The PAT 2019 registration fee shall be INR 1200, and the fee payment can be made through Credit Card, Debit Card, Net Banking and Mobile Banking. The Registration fee of INR 1200 is Non-Refundable. Documents Upload: Candidates shall have to upload the Scanned Copy of photograph which is of jpg/jpeg formate, and the photo should be of less than 1MB in size, and the dimensions shall be 400*400 and 2048*2048 pixels. Step 1: Candidates shall visit the official website and start the Register process by providing all the required details. Step 2: Candidates shall create a new account by providing Name, Mobile Number and Email Address. Step 3: After the Completion of Registration Process Login details will be sent to the registered email id. Step 4: Candidates shall log in through the given details and fill the application form with the valid information. Step 5: All the required information shall be provided correctly and all the fields must be filled. Step 6: A scanned photocopy of a candidate with jpg/jpeg formate, and the size less than 1MB, and the dimensions 400*400 and 2048*2048 pixels shall be uploaded. After the completion of filling the form cross check once before submitting the application form. Once submitted the application form details cannot be corrected. Pay the Application fee of INR 1200 through Netbanking/mobile Banking/Debit Card/Credit Card and complete the Registration Process. Candidates shall Download the Admit Card from the Official website from 4th February 2019. Visit PAT 2019 Official Website. Check for "Admit Card" section and Click on it. Enter all the required Login Details Asked. Admit Card will be downloaded into the device, Take the print out of the same. PAT 2019 Admit Card contains all the details of the Candidate like Name, Exam Date, Exam Centre, Contact Details and other details about PAT. Candidates must check for all the details printed on the Admit Card is correct if not the same should be intimated and get it rectified and get the Duplicate copy. Admit Cards will be available from the last week prior the exam and the will be available for the limited period of time. No hard copies will be sent to any candidates, the downloaded admit card should be carried to the exam centre if fail the candidate will not be allowed to take the exam. No. of Centre: PAT 2019 will be conducted in 10 different cities across the country. Admit Card: The complete information about the Examination Centre and the Exact venue will be on the Admit Card. Id proof: All the candidates must carry Admit Card along with anyone government ID proof to the exam Centre. It is the Candidates responsibility to reach the examination centre on time. Mode: PAT 2019 will be Offline Mode of examination, Candidates will write the test in the allotted exam centre in Pen and Paper basis. Question Type: All the questions in the PAT 2019 will be Multiple Choice Type Questions. Duration: PAT 2019 will be of 2 hours, i.e 120 minutes. Marking Scheme: Each Correct answer carries +3 mark, and each Incorrect answer Carries -1 marks. PAT is a Common General Test Conducted by Praxis Bussiness School for the admission to the PGP in Bussiness Management and PGP in Bussiness Analytics. The Question Paper consists of all the General Aptitude Questions. PAT 2019 Results will be announced on 13th February 2019. Candidates can check the results through the Official Website. Check for PAT 2019 results and click on it. The score will be displayed on the screen. Download the same for future references. Each scorecard will carry the candidate’s overall scores, sectional scores, and rank. Based on this rank and institutional quota a merit list will be prepared. This merit list will contain the names of candidates selected for Essay Writing, Psychometric Test and Personal Interview rounds. For the final round of admission i.e. Essay Writing, Psychometric Test and Personal Interview, the candidates must prepare well on current affairs topics. The final admission would be awarded on the basis of the applicant's test scores, profile, and performance in Essay Writing, and Personal Interviews. The candidate must clear the PAT exam and must have passed the 10th from a recognized institute. Minimum 50% cutoff mark is required. The admission procedure of my course contained 3 steps: Praxis aptitude test (PAT), Statement of Purpose and Personal Interview. The typical cut off of my course was 70%. The candidate must clear the PAT (Pre Agriculture Test) exam and must have completed 10+2 from a recognized institute. To take admission in MGCGV, You need to qualify MP PAT Exam and clear the cutoff which the University decides at the counseling date. This University does offline open counseling. I have given MP PAT exam, and For general 120, OBC 80 and SC ST 70. The criteria at Institute of Medical Sciences was a minimum mark of 50% from a biology background. I have qualified the BHU PAT 2016 and I got selected for B.phram (Ay). My course is dealt with ayurvedic medicine and formulations, a student has to be attentive and alert in the classroom at the time of the study, especially at the medicinal plant class. Many students have been selected in the highest ranked medicinal companies from my college. PAT entrance test (Pre Ayurveda Test) for BAMS course in all Rajasthan state is to be written. 110 number out of 200 is must for qualified in DSRRUA college. We have to pass the 12 th with 60% to take the admission in aks university. We don't have to qualify for any exam for taking admission in this university. But if we want govt college or bsc (ag) then we have to qualify the PAT Exam. If we are participating in PAT exam then the minimum cut off last year for OBC was 120. MP PAT is the main procedure for selection in Jawahar Lal Nehru agriculture University. I have got 132 marks and 16th Rank in general category in this exam. Cut off marks for selection in general category is 118. There is only 20 seat available for general category student. The eligibility criteria at NIA, Jaipur are completing your 12th and through an entrance of PAT (Pre Ayurvedic Test) and based on cut off marks.